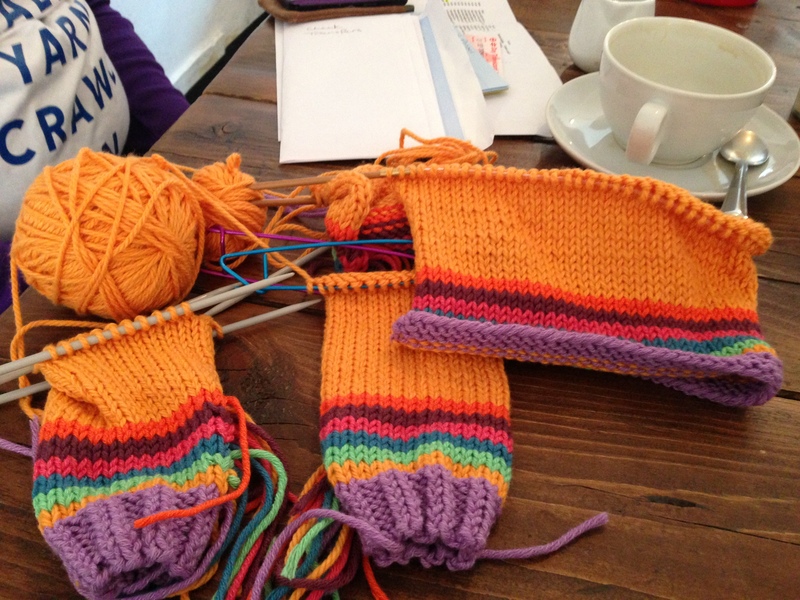 Right As Rainbow: The Final Stretch | Knit Like You Mean It. Sally’s sweater on the left; mine on the right. Sally’s sweater is gorgeous; look at those colors. Sally’s Sweater as of Saturday. Isn’t it pretty? 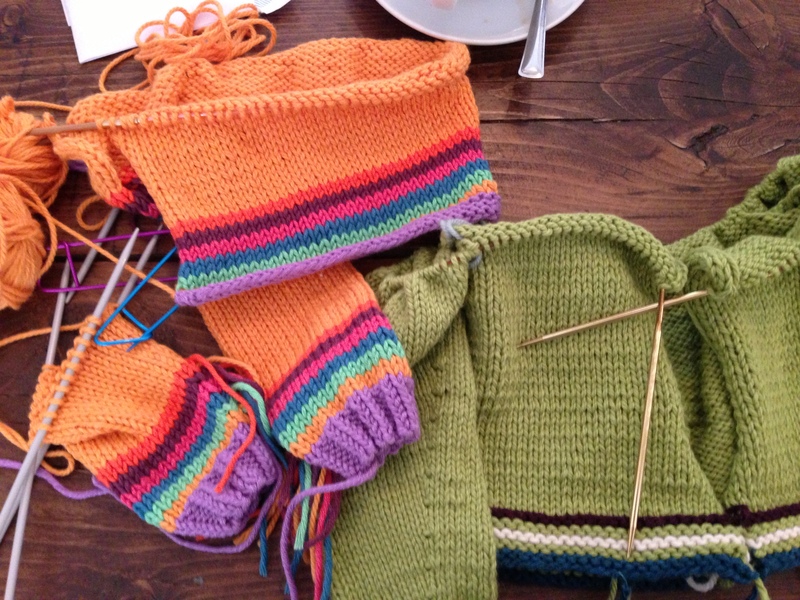 Meanwhile, amchart and her sister cast on last night and are already into the second stripe of the yoke (in other words, ahead of me). Mine is coming together well, if I do say so myself. I merged sleeves and body on the train from Oxford to London on Saturday morning, with only a brief crisis of faith; then I spent some of our travel between various yarn shops trying to place the markers correctly. Those who are still knitting and who may feel at sea, marker-wise, I strongly suggest you take a look at Catherine’s blog post on the markers, and her latest post in the Ravelry discussion about how to place the markers (which gives guidance no matter how many stitches you have after the marriage of body and sleeves). Lastly, we have had a bit of a tragedy in our knitalong; Sara (GoalieGirl33) left her knitting bag on a business trip to San Diego. The hotel is trying to trace is for her now, but she may well be out half a cardigan. Boo! 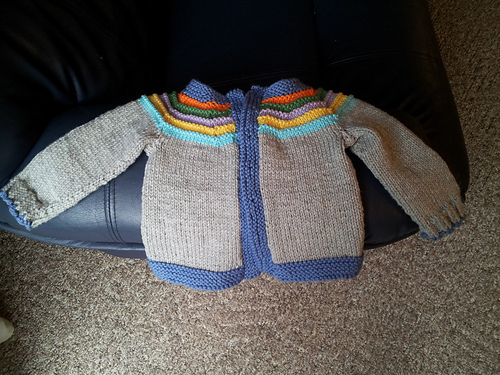 Everyone send homing vibes to that little cardi…and look forward to more updates tomorrow and Wednesday. 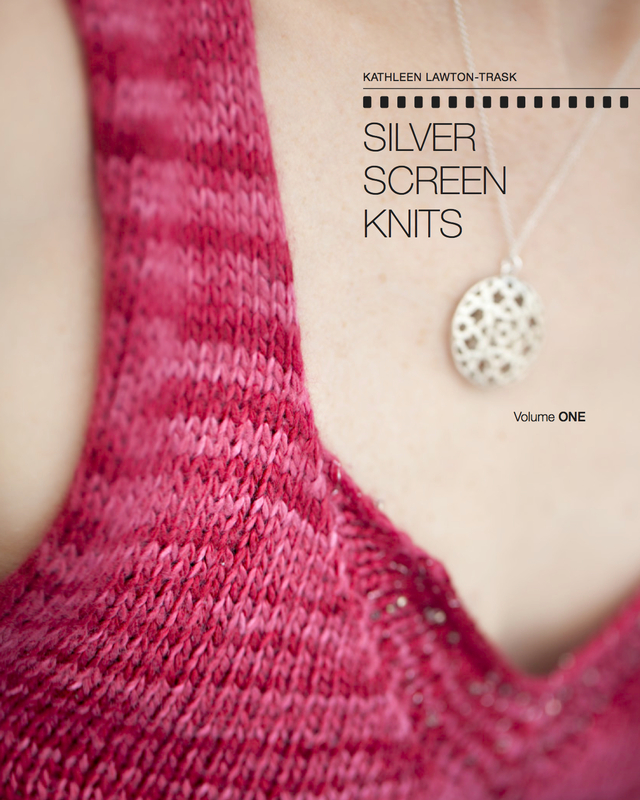 In the meantime, don’t forget that you can get a discount on Silver Screen Knits by starting a Sophia Loren project on Ravelry by Friday – and you can get a chance to win some lovely Brooklyn Tweed Loft by knitting squares for Alli’s Campaign for Wool yarn-bombing. Enjoy! Oh no to the lost 1/2 cardi! I hope they find it.